I have PI2+, with a working waveshare display clone. To control a second SPI device (potentiometer) I like to use SPI1. To control the SPI, I use Python with spidev. I can see clock on DCLK (Pin 40) and data an MOSI (Pin 38). On pin 36 (SPI1_CS0) I cannot see anything. It has a constant low level. With that code I can see, the pin 36 (GPIO16) is working. 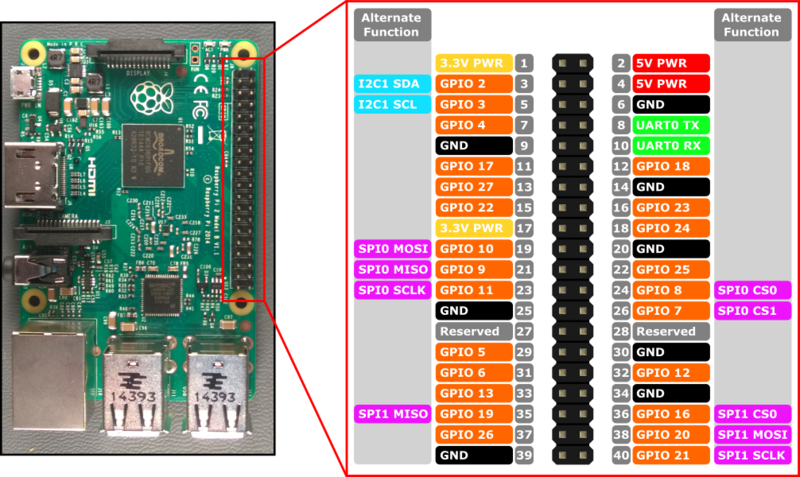 It uses the CS0 on Pin12 (GPIO18). I can see it on this pin with my oscilloscope. Pin 12 is blocked by the display. To use Pin 36 instead I have to create an own overlay. Now I have to google how to do that. Does anyone know, where to find the original code of spi1-1cs.dtbo? I only find the precompiled versions but I want to modify it and compile it by myself. I only replaced the two entrys of the CS-Pin from 18 to 16. I got that warnings but I ignored it. I made the above changes (dtoverlay=spi1=1cs) in the config.txt. In the program when i wrote spi.open(1,0) i am getting an error "[Errorno2] no such file or directory "